Release Date: 21 May 1975? 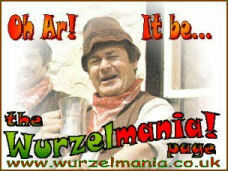 The Wurzels Are Scrumptious album was the first album produced by The Wurzels following Adge Cutler's untimely death in 1974. 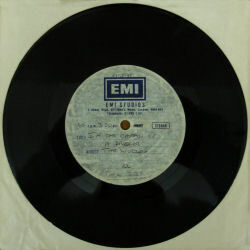 The ‘live’ sequences were recorded in a north Devon holiday camp, the remainder in the EMI Studios. One of the tracks, I'm The Captain Of The Dredger, has recently been discovered on a 45rpm single acetate. It is dated May 21 1975, a few weeks before the release of the album from which it was taken. It was lifted straight from the album with just the introduction removed - the playout and applause is identical to the album track. 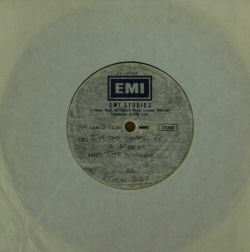 So far as we can tell this acetate is the only existing copy of this single. Why was it abandoned? What was the planned B-side? Why were no singles ever issued from this album? Can anyone out there help? Title: "I'm The Captain Of The Dredger"